Agios Leontas. 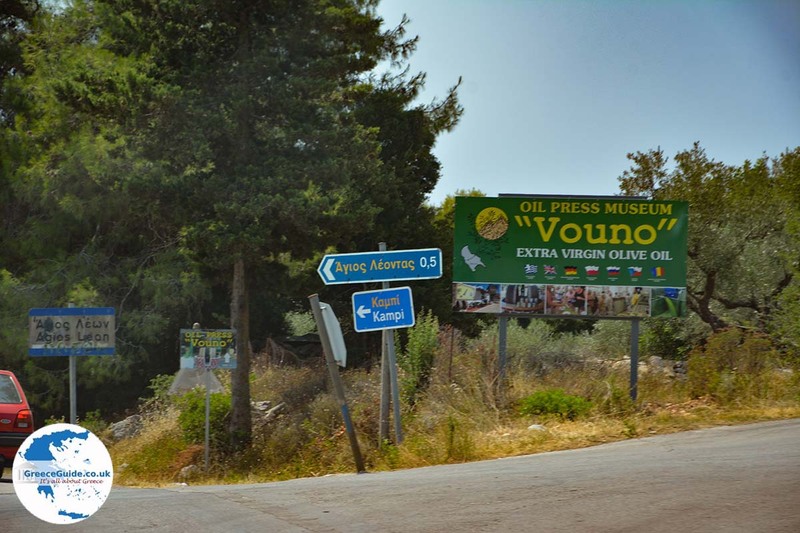 Agios Leon or Agios Leontas, is a mountain village ( 390 meters altitude), 25 kilometres west of Zakynthos town. It has about 500 inhabitants who are mainly engaged in stock breeding and agriculture. 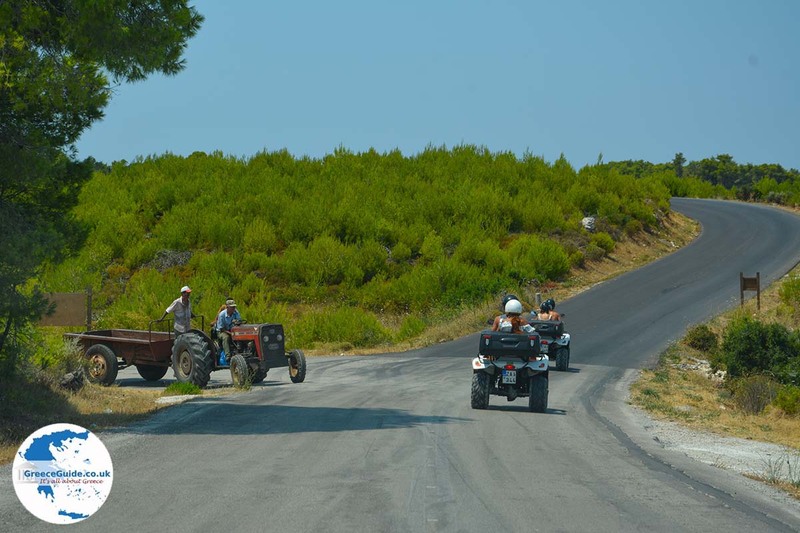 In this region are many wineries and the village is also surrounded by beautiful pine forests. The traditional architecture, the good-looking stone houses attract many tourists to the village. 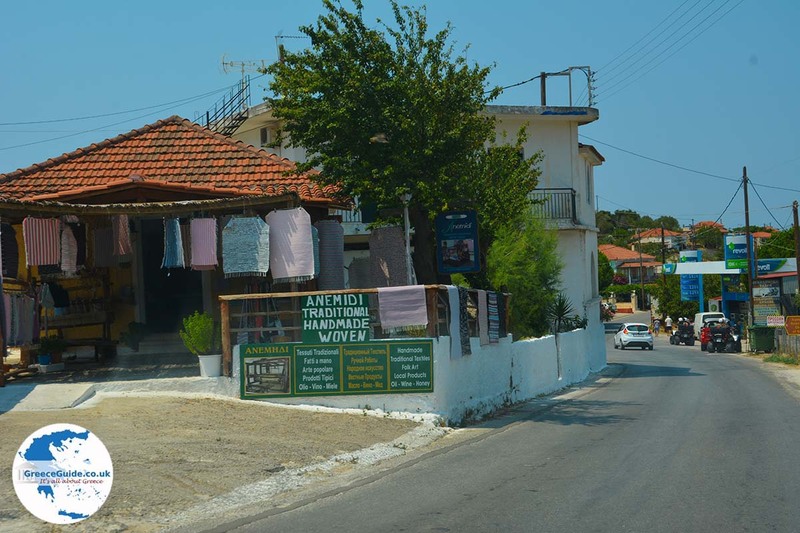 In Agios Leontas are some lovely shops. Like in other villages of Zakynthos, you will be attracted by the beautiful churches of Agios Leontas. Particular churches here are the eponymous church of Agios Leontas and the church of Agia Paraskevi. 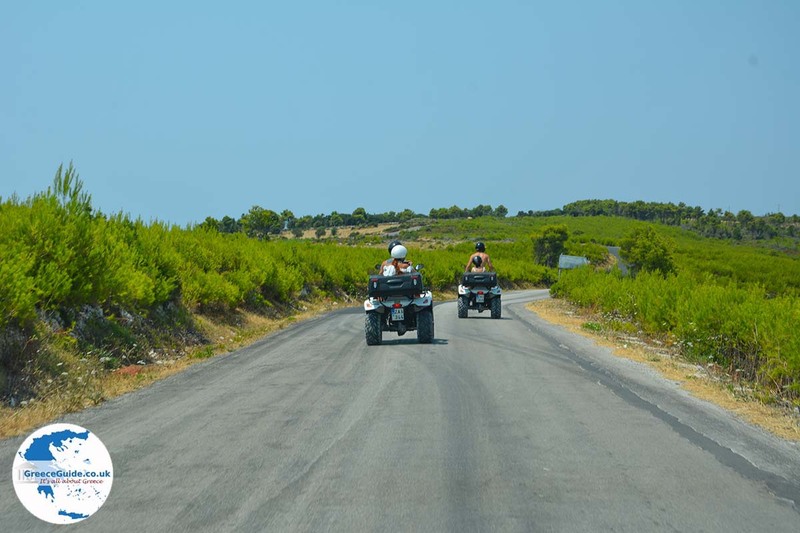 Approximately five kilometres from Agios Leontas are the beaches Limnionas and Porto Roxa located, a region with a rocky shoreline. In the east there is the cave of Chagioti. 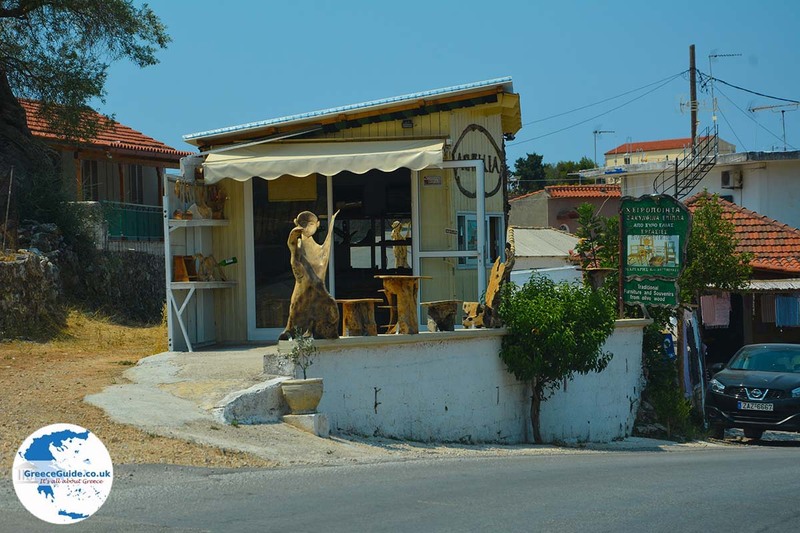 In Agios Leontas are a number of tavernas and cafes, in addition there are apartments where you can stay as tourist. 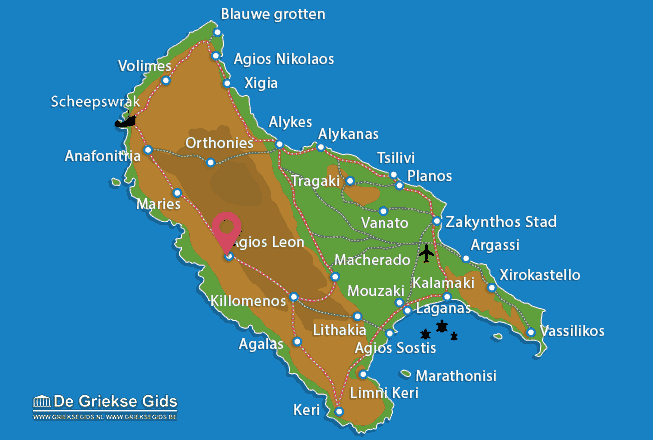 Zakynthos: Where on the map is Agios Leontas located?